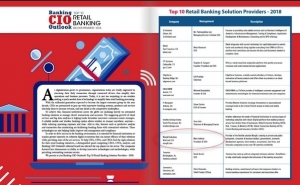 The Margill team is proud to be one of the Top 10 Retail Banking Solution Providers of 2018 in Banking CIO Outlook magazine. To help CIOs, CFOs, and CEOs find the right solutions for their retail banking initiatives, a distinguished panel comprising CEOs, CFOs, analysts, and Banking CIO Outlook’s editorial board has selected the top players of this select group. 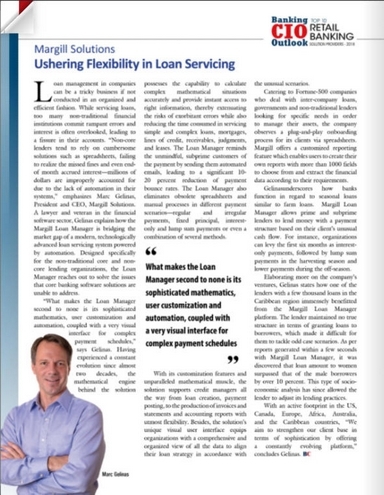 You will also find, on page 28, an article about the company and its software. Source: Banking CIO Outlook, November 21, 2018 issue. How an obscure legal document called a “Confession of judgment” turned New York’s court system into a debt-collection machine that’s chewing up small businesses across America. Although not allowed in most states, a “confession of judgment” signed by the borrower allows a creditor, without proof, to accuse a borrower of not paying the expected monthly payment for example and then to legally seize their assets.